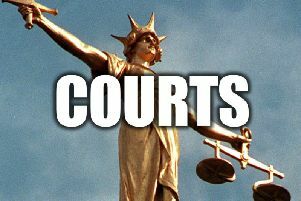 A Retford teenager has been handed an eight week suspended custodial sentence after breaching a number of the conditions set out in his Interim Criminal Behaviour Order. Adam Cartwright, 19, pleaded guilty to four breaches of the Interim Order at Mansfield Magistrates Court on December 7, where he was also made the subject of a full Criminal Behaviour Order (CBO) for a period of two years. Cartwright’s Interim CBO had been imposed by Mansfield County Court on October 26, and included a total of eight conditions that he must not breach, which included associating with a number of named individuals and entering Retford town centre between certain hours. However, Cartwright’s first breach of the Interim Order occurred on October 30, when he was seen with Daniel Farrell in an area of Retford town centre. Further breaches followed between October 31, and November 1, on November 3, and November 12, when he was seen associating with both Andrew and Daniel Farrell, again in an area of Retford town centre. As a result of the breaches, Cartwright was sentenced to an eight week custodial sentence for each breach, suspended for 12 months, to run concurrently. In addition, Cartwright was ordered to pay a victim surcharge of £115, plus a nominal fine of £10, due to limited means, for the original breach of the Town Centre PSPO.